Karan Brar is a Hollywood Artist who has been shining in Hollywood, especially in television he has made his way of representing himself neither less than a celebrity. He is just 18 years old but he is doing work in Hollywood industry from 2008, very fluent in Hindi, Punjabi and English this young guy selected his dream of becoming an actor in the times when children do not worry about anything but he did and made the whole world proud. His almost whole work is associated with Hollywood industry due to which he is very less known in Pollywood cinema but we from punjabdreamz.com are bringing some very interesting and lesser-known facts about this young shining star. Once the Hollywood production company, 20th century fox, established news of hiring some of the children as their cast members and asked for a quick audition, Karan was selected with a few children from over 9000 auditions on the list. When he was called for the interview, they asked him for doing many types of acting on the same time, like crying, laughing, getting angry etc but as he was just a beginner, he did all of them with stress along, after coming outside, he cried a lot and felt that he won’t be getting selected for this. However, his father told him that he is happy with him as he has a long way to go, getting selected from 9000 children is not an easy task but he made it, that is why he should also be happy with the thing he have in hand. But soon a good news from the 20th Century Fox company came that they have selected Karan Brar for the classes and will be taking him to study abroad more about acting and shining high. This was the time when Karan started his journey and never came back to the world he did not want. He did his very Hollywood first film named as ‘Diary of Wimpy Kid’ which was a trilogy based New York Times bestselling book series in 2010, also it did business of more than 100 million dollars and this was proved to be the best exposure ever for himself as he played a character named as ‘Chirag Gupta’, furthermore for this, in 2011, he was awarded Best Performance Award in Feature Film. After this, he did a TV series named as ‘Jessie’ in character named as ‘Ravi Ross’ which completed in 101 episodes and was on aired in around 160 countries, this is how he become more and more famous home to home due to this TV series. After some time the 20th Century Fox Production Company decided to do 2 more series of Karan Brar’s first movie, Diary of Wimpy Kid. Hence in both the series Diary of Wimpy Kid: Rodrick Rules & Diary of Wimpy Kid: Dog Dugs in 2011 and 2012 respectively, Karan Brar also did important roles. Not only these movies and films but Karan Brar did many more works in Bunk’D, The Night Shift, Invisible Sister, Lab Rats, Ultimate Spider-Man TV series, Disney’s Circle of stars, Pair of Kings, Chilly Christmas, Austin & Ally and many more TV shows. He also got nominated for awards like Best performance in Feature Film in 2012 &2013 respectively, also in 2014 for outstanding performance in youth/children program. And he won some of the really great awards like Best Performer of TV Series Award, Best young actor award in supporting role. Other than acting, Karan Brar also landed his voice to some of the very famous characters like ‘Mason’ which appeared in 20th Century Fox’s Mr. Peabody & Sherman along with this to ‘Prince Zander’ in Disney’s Sophia the First.” Other than this he played several characters in many Disney shows and more. Not only this, but Karan Brar is also the Brand Ambassador of a Non-Govt organization named as ‘Thirst Gala Organization’ which works for flood and natural disaster-affected areas in Africa which proves him a good human being as well, along with the good actor. 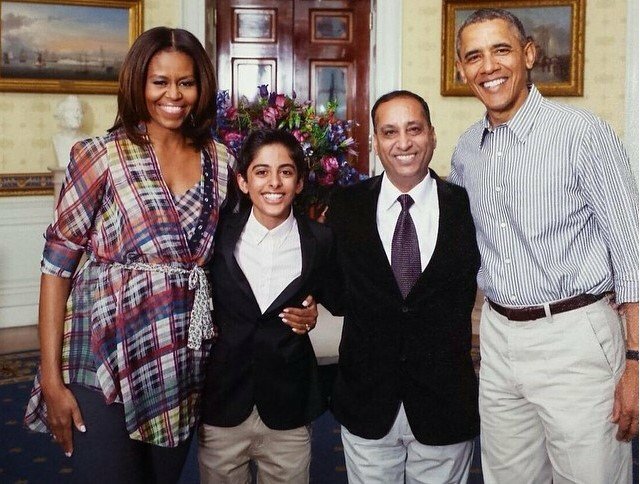 Moreover his father and the whole family got a chance to have dinner with President of United States, Barack Obama along with First lady social at white house just because of the outstanding works by their son Karan Brar, this was one of the biggest achievements for Karan and his family that in such a little age, he has done so much for his family. Now talking about the major upcoming project of Karan Brar, that is a science-fiction film named as “Pacific Rim: Rise Up” which is a sequel to 2013 film “Pacific Rim”, it stars John Boyega, Scott Eastwood & Jing Tian, Produced by Guikkermo Del Torro. Planned to be released in March 2018 and Karan Brar is playing role of a character named as ‘Suresh’ in this film, for this role Karan Brar underwent personal training before as well as during the shooting of film, which includes stunt & fight training with a proper amount of diet plan, hence we really want to support him from our side so that people here can also know about his background and love his works that he has done in such a small age. Karan Brar appeared in the ads and did an ad campaign named as ‘Seeds of Compassion’, announcing the Dalai Lama. His favorite show is Gravity Falls from Disney. Karan Brar also featured in Top 50 Influential South Asians Of 2017 along with Priyanka Chopra and Satinder Sartaj in the list by DissDash. Born and brought up in Bothell, Washington Karan is still connected to his culture which can be seen in many of his characters which are Indian characters and are bringing this touch to Hollywood as well. 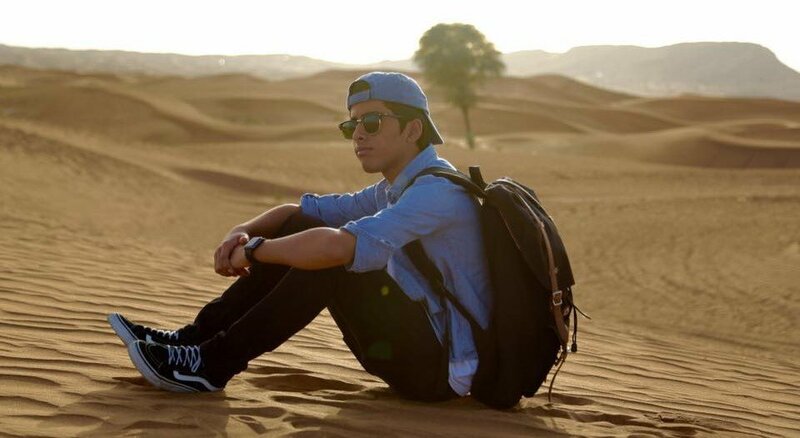 Karan Brar is currently settled in Los Angeles. We look forward for awesome works from Karan Brar is future as well along with his upcoming film.